All the best offers avaiable form Fraser Joiner now. 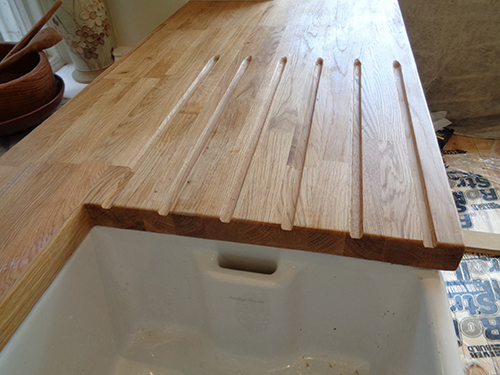 Back to School Offer: Free sink and tap included in every kitchen facelift! The kids are back to school next week and normality resumes. It's the perfect time to revamp your kitchen. 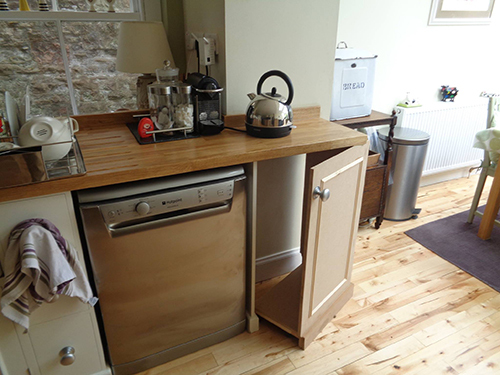 We can give your existing kitchen a completely new look, for half the price of a new one, by simply replacing doors, worktops or splashbacks. Our real wood, painted and high gloss doors can be made to any size and are available in a range of styles. 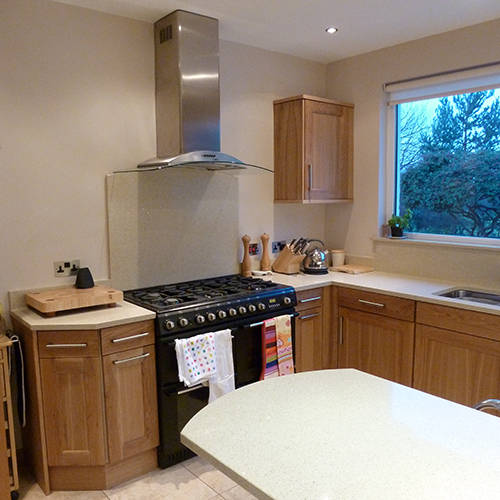 Choose from stone, wood and laminate worktops and matcing upstands, or maybe a trendy glass splashback. The sky's the limit. 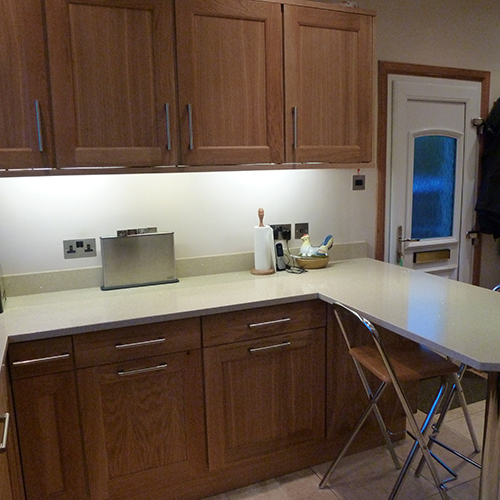 The kitchens shown opposite were updated with our chamfered oak doors and a beatiful oak worktop. Call us on 0131 336 4455 for a free estimate. Copyright Fraser Joinery © 2012.